A very excited me is typing out this post. Feels like Iv just achieved something BIG! My first attempt at baked doughnuts!....sigh! Love at first sight .......and then bite:) They were unbelievably soft and delish! I bet you would'nt want a fried one again! I love doughnuts like most of you, but just feel so guilty buying these deep fried kill joys! 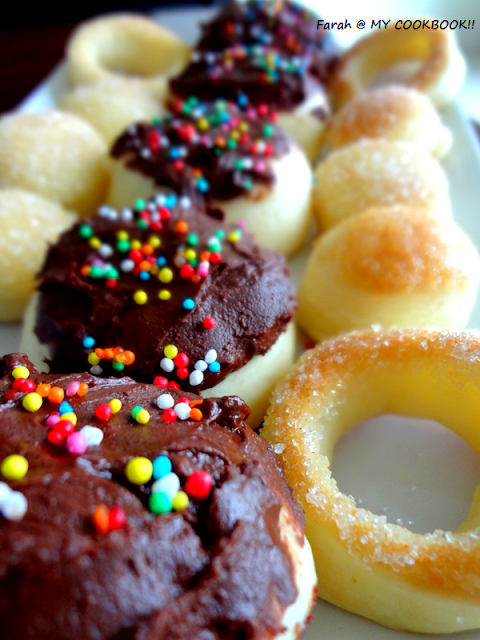 Iv been watching people baking these doughnuts....somehow never had the confidence to try these out at home! Anyway.....on one such day when I was craving these, I decided to bake them myself. Came across these baked doughnuts on Mels kitchen cafe. Just halved her recipe. 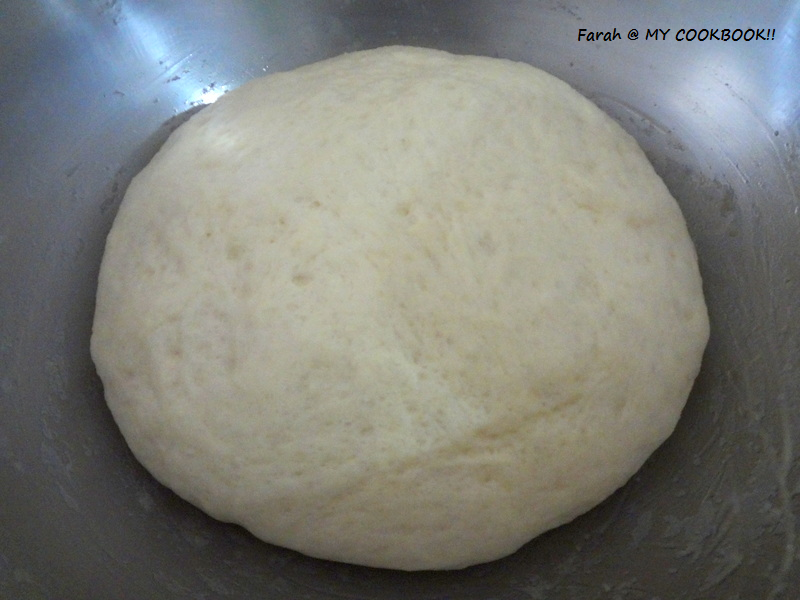 I kept praying as I started adding ingredients one by one into my mixing bowl.....hoping the whole thing doesnt have to be thrown out!.....sheeeesh.......that was one long wait for the final result with all that yeast rising and stuff.......but was definitely worth the wait. Hot out of the oven, just smeared some melted dark chocolate on top and then AHHHHH.......ummmmmmm...........so soft! delicious! I had finally won my battle against these doughnuts! Hurrah! In a large mixing bowl, pour the warm milk. Add the butter and whisk using a hand whisk. Mix the ingredients using a wooden spoon initially and later using your hands to knead the dough. 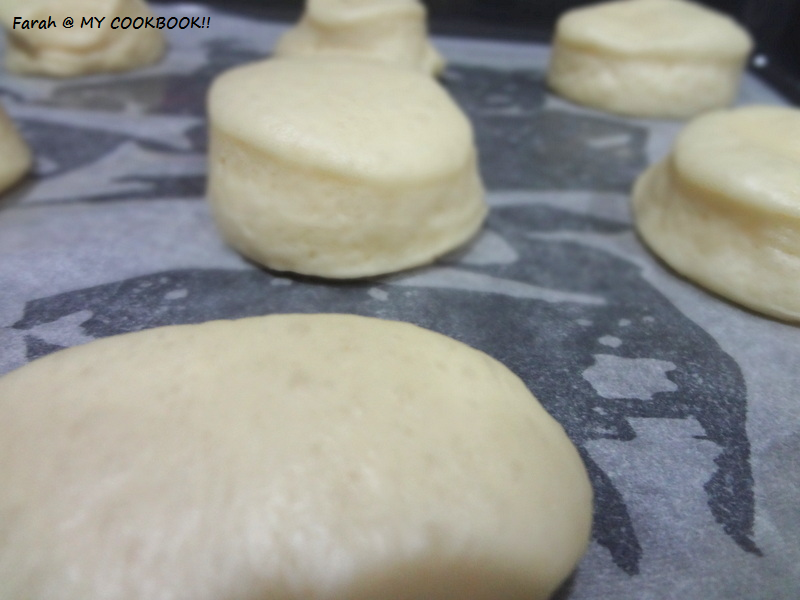 Adjust the dough texture by adding few spoons of flour or milk little by little. The dough should pull away from the sides of the bowl and be very soft and smooth and slightly sticky.....DONT OVERFLOUR! 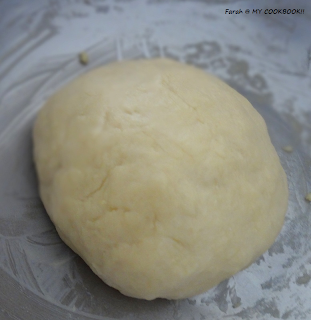 Knead the dough for a few minutes and then transfer the dough to a slightly greased bowl. Punch down the dough and roll it out to about 1/2 inch thickness on a lightly floured counter. using a doughnut cutter cut out circles on the dough. Line a baking tray with butter paper and transfer the doughnut circle on to the tray. Let the doughnuts rise for another 45 mins until they are puffed and nearly doubled. Bake in a 375 deg F oven until the bottoms are just golden for about 5 to 8 mins. They should be pale on top, not golden and browned, and just barely baked through. 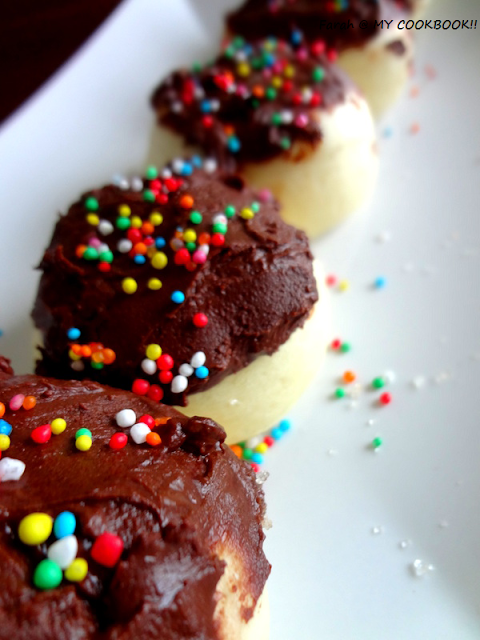 Dip each doughnut in melted butter and then toss into the sugar to coat the tops. Love the idea of smearing some chocolate on top of these! Glad you loved them! 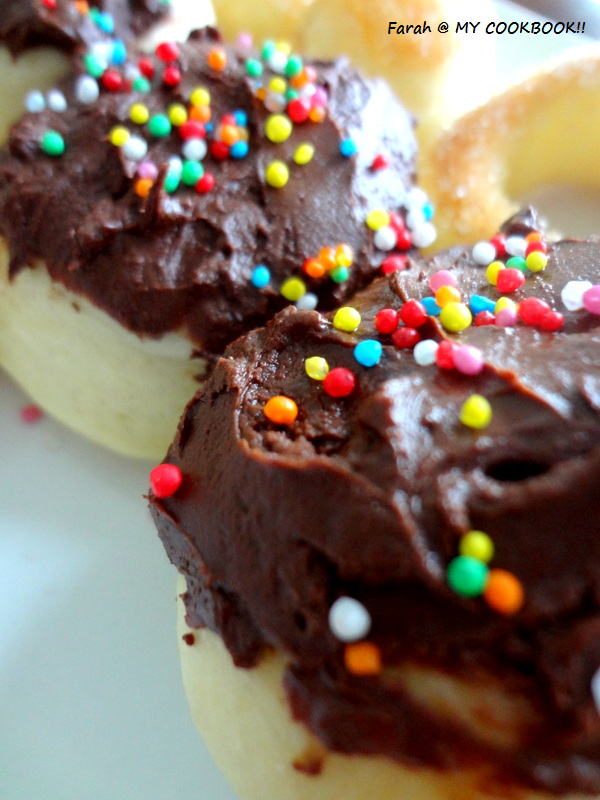 Guilt free doughnuts, feel like having some. wow..that's very delicious n healthy ones indeed,loved it! !